On a recent afternoon’s visit to Forest Park’s famed waterhole the birds were coming in frequently and in abundance. 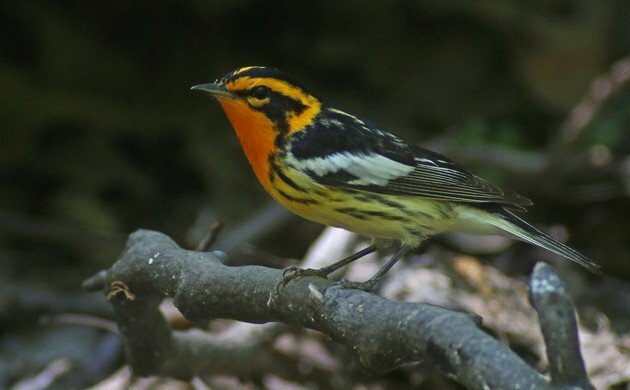 In the one hundred and six minutes I spent at the waterhole seventeen species of wood-warbler stopped by for a drink or a bath. 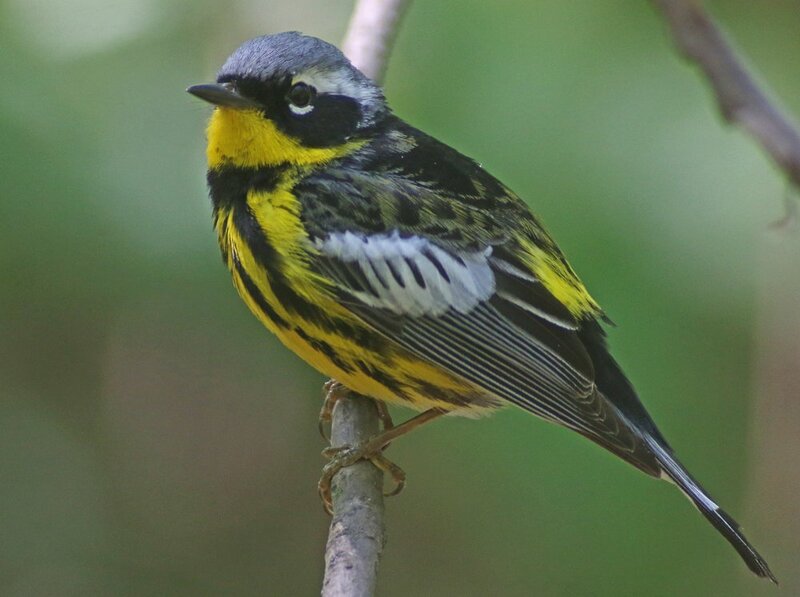 The eight or so other birders who were also enjoying the show were gobsmacked, flabbergasted, and just plain old amazed. Can you blame them when you consider that we were treated to views like these? 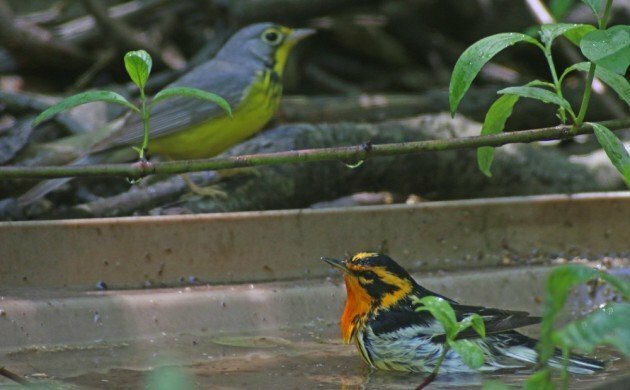 Yes, that is a bathing Blackburnian Warbler with a Canada Warbler photobombing. 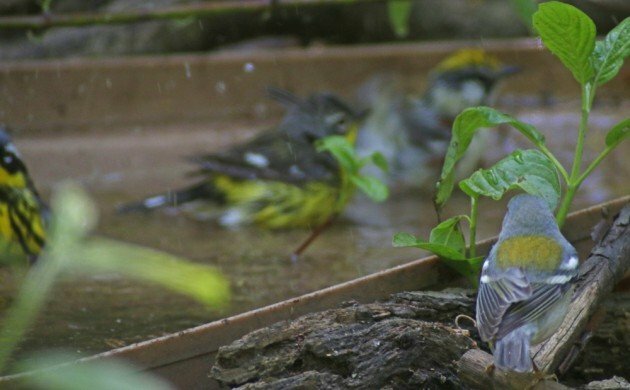 It’s bad enough that this Northern Parula had to wait for a Chestnut-sided Warbler to get its turn in the bath but to have to wait for not one but TWO Magnolia Warblers to finish as well? That’s just nuts! Unfortunately, this has been a very dry spring in New York City so, as you can see in the photos above, intrepid Queens birders have made makeshift bird baths to take the place of what is normally a vernal pool. The amount of dedication that goes into lugging gallons of water into the woods just shows how special we Queens birders feel the waterhole is. After all, without water it would just be a hole! 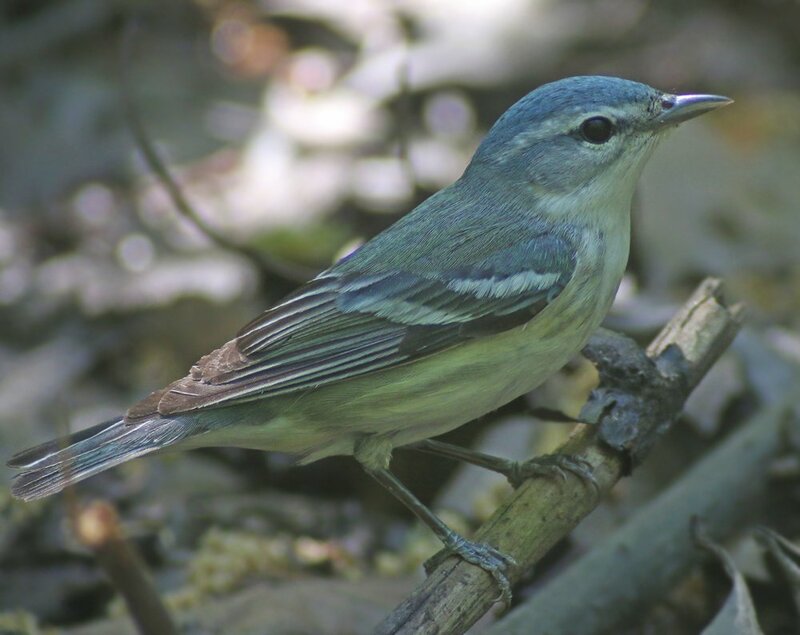 Yes, this is a female Cerulean Warbler. Thanks for asking. And, oh my! A Bay-breasted Warbler below eye-level! 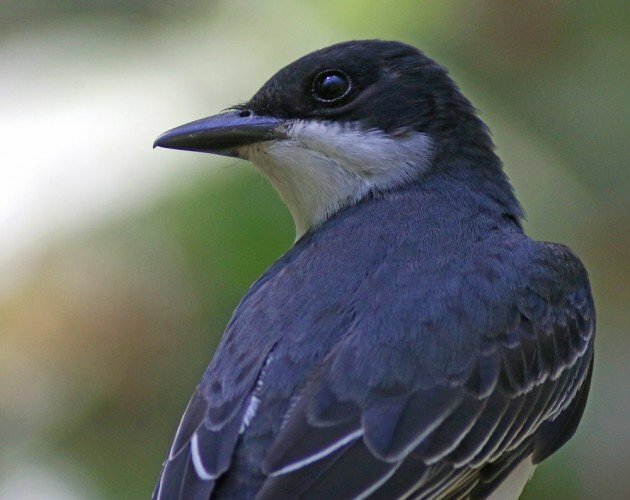 Was I ever glad that I had lugged my digiscoping rig with me for this outing! Every single photo in this post was taken in the hour and three-quarters I was at the waterhole. It was amazing! We saw several Prairie Warblers. 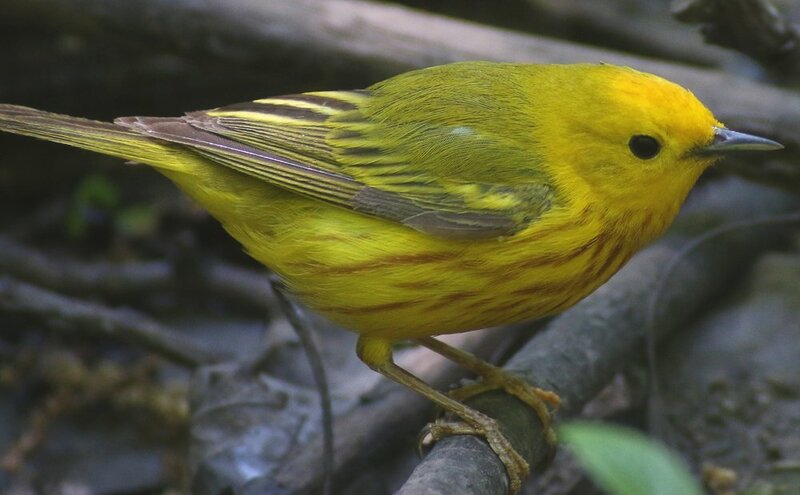 This Yellow Warbler did not care about the ominous clicking noises coming from the hairless bipeds’ machinery. 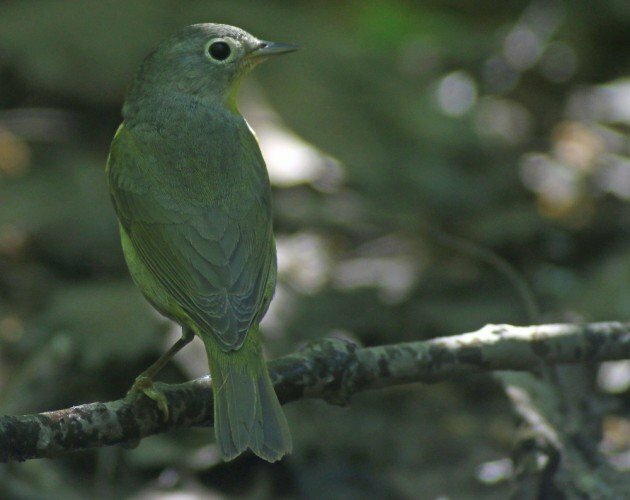 At least one Nashville Warbler came through and I didn’t hear a single person call it a Connecticut Warbler. 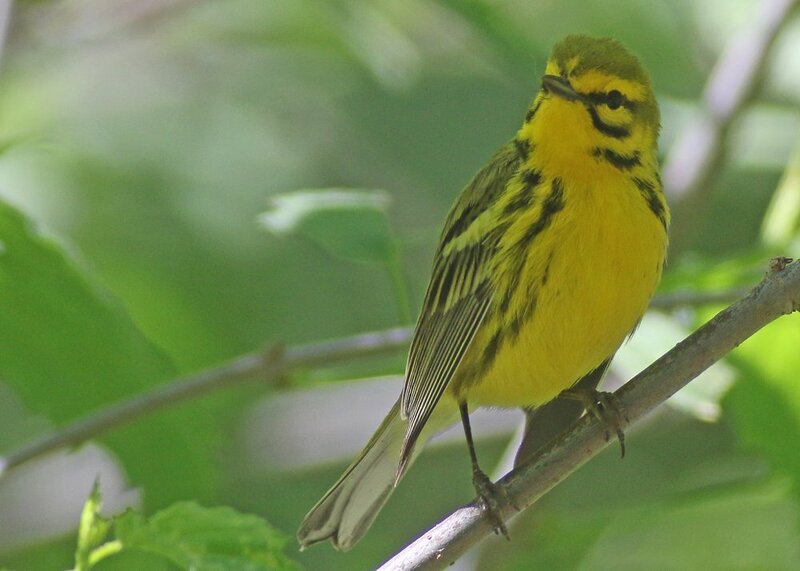 Oh, and there were some non-wood-warblers around as well. 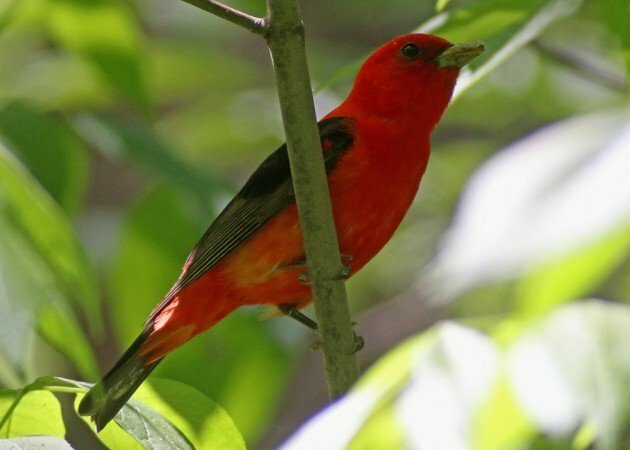 There’s nothing wrong with a brilliant Scarlet Tanager. This Eastern Kingbird flew in from out of nowhere and proceeded to sedately have a drink. 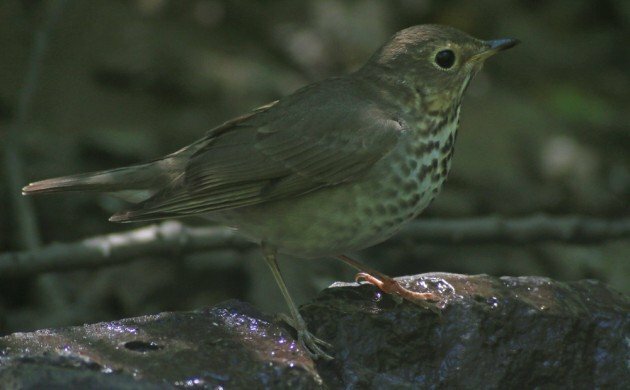 I thought this Swainson’s Thrush would make those suffering from wood-warbler-envy a little less sad. 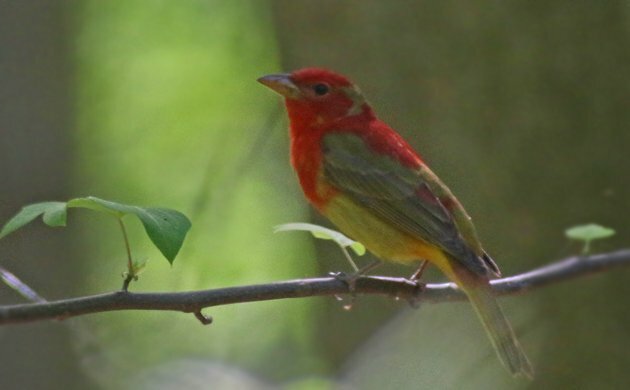 Though this Summer Tanager wasn’t particularly cooperative it did show itself. 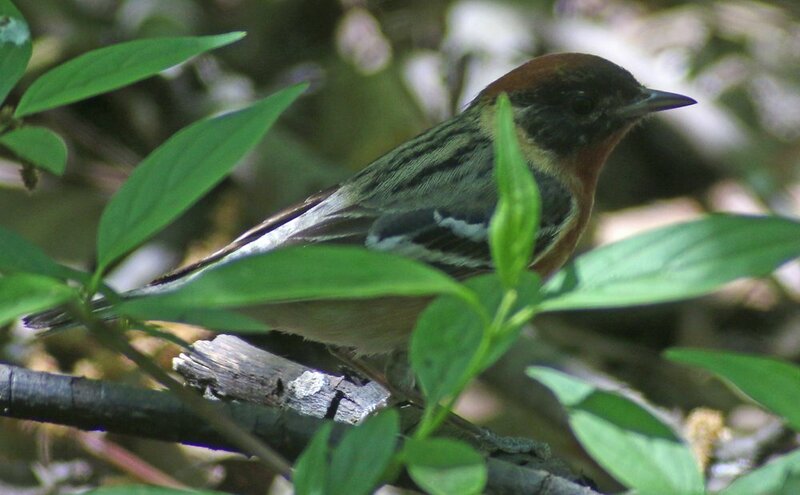 And Summer Tanagers are always welcome in New York. If you’re a New Yorker, get yourself to the waterhole. If you’re not, I’m sorry. Maybe it’s time to move? Now I kind of know how Jochen feels when you tease him about the variety of stateside passerines, or how you feel when Duncan talks albatross. SO JEALOUS!! Never a House Sparrow when you need one.